In 2003, the “Decree Exceptions Smoke free Workplaces” (Tobacco Act, 2002) was discussed in the Lower Chamber. Also under discussion was the question of whether and how the hospitality industry should be smoke free. The association Koninklijke Horeca Netherlands, following a campaign, entered into an agreement with the Dutch government based on self-regulation of the industry. In “Just Hospitality – Schedule smoking policy in the restaurant industry“, a research proposal was included from the agenda Research & Development 2000 – 2010 of the Technology Council of TVVL which was then chaired by me. 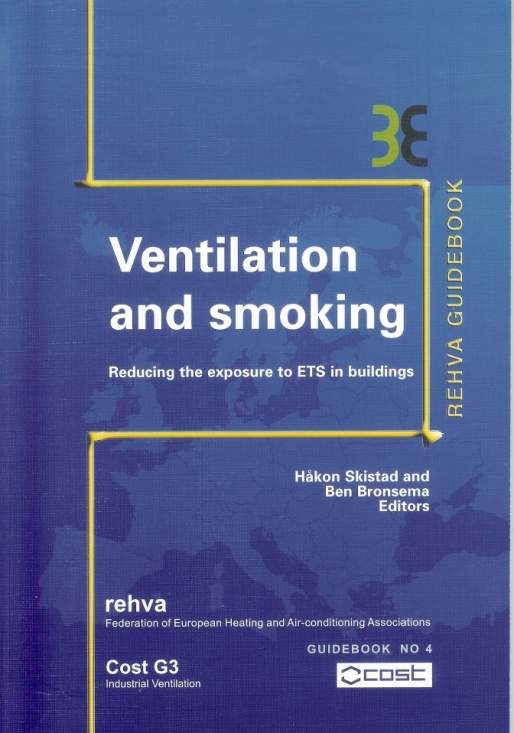 This research proposal, “Solutions to reduce smoke trouble in the indoor air“, never attained success in the Netherlands, but it provided the impetus for a research project in connection with REHVA: “Ventilation and Smoking“. It is interesting to note that the International Task Force for this project solely consisted of non-smokers. The different ventilation experts perceived it all as a challenge to develop effective ventilation systems in this area where health experts generally consider that ventilation does not offer protection against tobacco smoke. The publication has been presented at the CLIMA 2005 conference in Lausanne and since then translated in several languages. Inspired and encouraged by the work within the task force, I performed further research in the Faculty of Architecture building of the TU Delft aimed at the separation of smoking and non-smoking zones with the employment of air curtains. This research resulted in several published articles in TVVL Magazine and BOUWFYSICA.